Juan José was born in Tarragona. He holds a degree in Chemical Engineering from Universitat Politècnica de Catalunya (UPC), where he graduated first in his class of 2013. Afterwards, in 2014, he got a master’s degree in Energy and Fuels for the Future from Universidad Autónoma de Madrid (UAM) with a scholarship granted by Iberdrola Foundation. 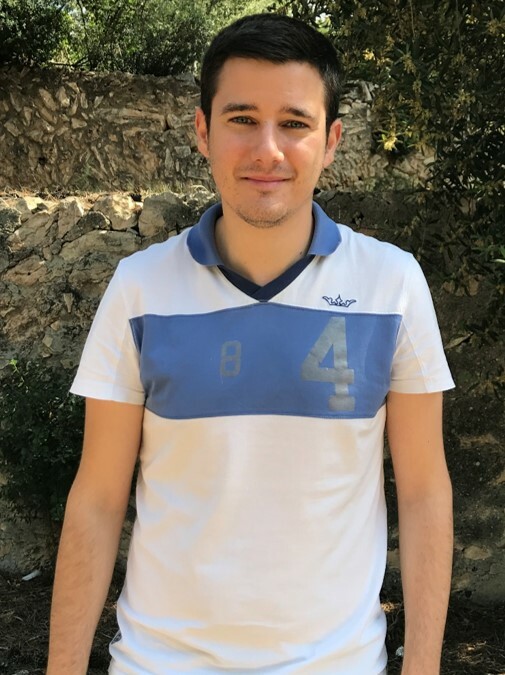 He did his Master’s thesis at Institute of Catalysis and Petrochemistry (CSIC), where he studied heterogeneous catalysis for biodiesel production. Then, he joined Abengoa Research to work in the field of material science. He was granted a PhD fellowship in the framework of the Mobility Programme with the ETH Zurich and in September 2015 he joined Dr. Atsushi Urakawa’s group. His research is focused on the development of catalytic materials and processes for the synthesis of chemical energy carriers from CO2.